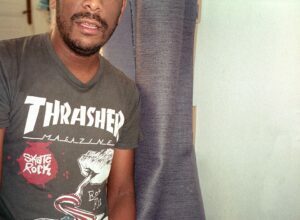 DJ Sundae says about this mix «there’s nothing special about it, except that I really enjoyed doing it.». We’d like to maintain that it’s certainly special to us. With a span of just under an hour, the mix is perfectly balanced: A deep dive into the mind of one of France’s most dedicated record collectors and DJs. DJ Sundae has just released the superb Alexis Le Tan proto-trance compilation on his label Idle Press. Together with fellow Frenchman Julien Dechery, the Parisian compiled «Sky Girl», a bewitching éducation sentimentale of heartbroken soul and ethereal folk. Be sure to check out DJ Sundae’s monthly show on NTS with Cosmo Vitelli.